‘ Upsurge ’ – Print from artist Sarah Jane Brown. High quality limited edition of 100. Signed and numbered, with a certificate of authenticity. 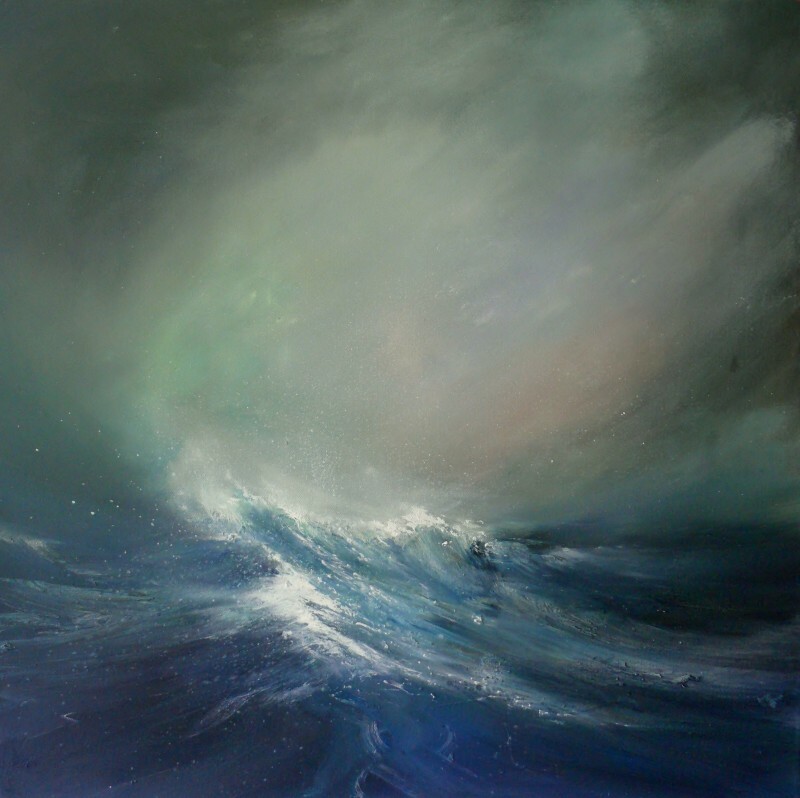 ‘ Upsurge ‘ is an energetic depiction of a wave reaching a steep peak . This is very typical of the ‘overfalls’ which happen frequently in certain conditions off Pembrokeshire coastline. The mount is made to fit a 20”x20? frame. The border is 3? all around the print. The image itself is approximately 14? square.